In December, the market potential for existing-home sales in December increased 1.1 percent to a seasonally adjusted annualized rate of 6.15 million compared with a year ago, but the housing market still underperformed its potential by 9.6 percent, according to our Potential Homes Sales Model. Month over month, the gap between actual existing-home sales and the market potential for home sales narrowed by 2.1 percent, but the housing market still has the potential to support more than 593,000 additional home sales at a seasonally adjusted annualized rate (SAAR). The housing market has experienced a decades-long decline in the 30-year, fixed mortgage rate, dropping from a high of 18 percent in 1981 to a low of nearly 3 percent in 2012. This long-run decline increased affordability and encouraged existing homeowners to move. However, in 2016, the trend reversed, and mortgage rates began to slowly increase, reaching nearly 5 percent last November. This period of rising rates has dissuaded existing homeowners from selling their home – why move when it will cost more each month to borrow the same amount from the bank? Additionally, rising rates have reduced affordability in some high-cost markets, discouraging some potential first-time home buyers from entering the market. So, rising mortgage rates discourage both existing homeowners and some first-time home buyers from entering the market. While mortgage rates are expected to continue to rise in 2019, last month’s stock market volatility has reversed the recent upward trend of mortgage rates. It’s often overlooked that the popular 30-year, fixed-rate mortgage is closely tied to the 10-year Treasury bond. 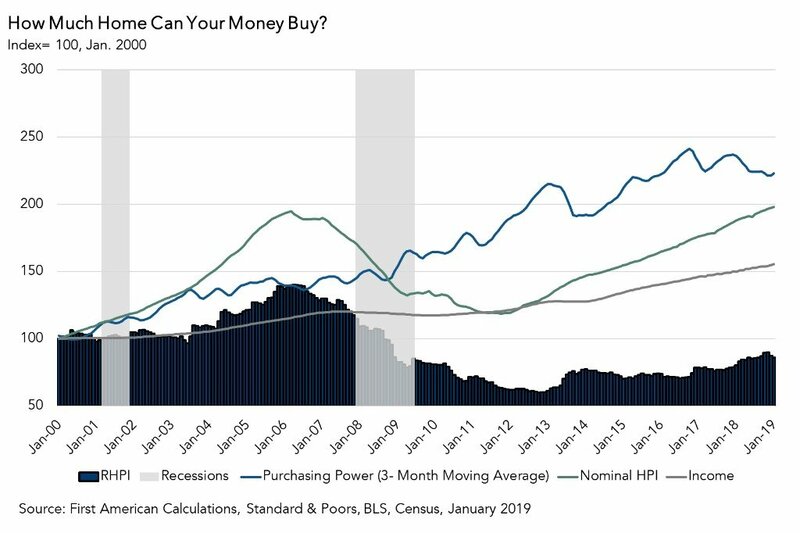 When the economy is doing well, investors prioritize investing in securities over bonds, driving higher longer-term Treasury yields, which also tends to increase mortgage rates. In December, the opposite happened. A steep sell-off in U.S. stocks caused by investors seeking safe-haven from global and domestic economic uncertainty caused the 10-year Treasury yield to decline, and mortgage rates fell alongside it. In fact, the average 30-year, fixed-rate mortgage in December fell 23 basis points compared with the previous month. The decline in mortgage rates is a welcome relief to prospective home buyers who have mostly experienced a year of rising rates and house prices. The December drop in mortgage rates increased the market potential for existing-home sales by 0.3 percent. According to Freddie Mac, last week’s 30-year, fixed-rate mortgage dropped further to 4.45 percent. If January ends with an average mortgage rate of 4.5 percent, 14 basis points lower than December’s average of 4.64, we expect the market potential for existing-home sales to increase by nearly 7,000 sales. This is not surprising, given existing homeowners that were previously financially “imprisoned” in their home can now feel more comfortable about entering the market, and first-time home buyers benefit from increased affordability. 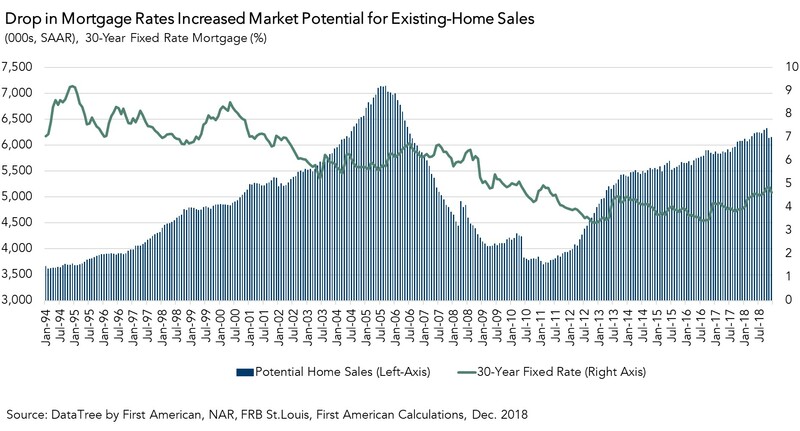 While we don’t expect falling mortgage rates to be the norm in 2019, the recent drop has benefited potential home buyers. In the face of falling mortgage rates, mortgage applications for the week ending January 4 jumped more than 20 percent from the previous week, even during the slower than usual holiday period. 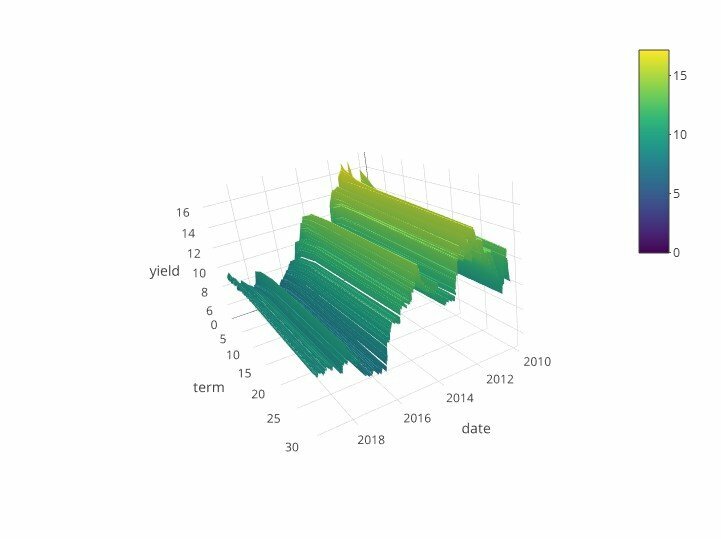 Uncertainty regarding world economic events and global trade agreements may lead to a further sell-off in equity markets, adding more downward pressure on mortgage rates. If this occurs, we can expect the market potential for existing-home sales to rise further.